Vertical Hold is a simple tirangle shawl, consisting of two solid-colored sections and five striped sections knit with six equal portions of differently-colored yarns. 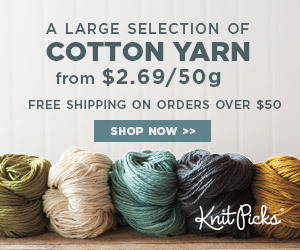 Use a set of gradient mini skeins as shown in the sample, or choose six completely different hues for a bolder look. Knit entirely in garter stitch, Vertical Hold is perfect for a beginner, or anyone who is not particularly fond of purl stitches. adjust your needle size, choosing one that gives you a nice drapey fabric. This pattern is written for a shawl with a 54-inch wingspan and 24-inch depth.